Khaim Matskin - professor and A leading expert in the diagnosis and treatment of urological and oncological diseases of varying severity as in adults, and children. After successful completion of the Faculty of Medicine at Tel-Aviv on a specialty of "Urology", it continued to increase his skill level and improvement of professional skills in the field of oncological urology at major medical centers in Israel, as well as Miami clinics, and Memphis in the United States. The area Professor specialization focused on treating varieties onkologies such diseases as cancer of the bladder, kidney, testes, and prostate carcinomas in all stages of the disease. In his medical practice Haim Matskina extensive use of modern methods of treatment, uses cryosurgery, hormone therapy and treatment with iodine. Today Professor Matskina is a recognized worldwide expert in brachytherapy of prostate carcinoma. conducts active research in the treatment of prostate cancer and brachytherapy. The Deputy Director General for research and development, medical center Ichilov-Sourasky. The head of the Department of Urology, Medical Center Ichilov-Sourasky. 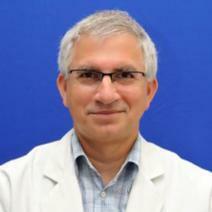 Senior physician Department of Urology, Medical Center Ichilov-Sourasky. The head of the Department of Epidemiology, the chief officer of the Medical Service Department, the Israel Defense Forces. private practice in the medical center "Top Ichilov». He has 163 publications in medical journals. I am grateful to the doctors clinic Assuta for the timely help, thanks to which I managed even to keep a kidney, although, having heard the terrible diagnosis "cancer", I was preparing for the worst. When in November 2015 for an ultrasound the doctor found a small mass, which later turned out to be a tumor, I mentally said goodbye to life. In Russia, I had completed a survey, the results of which confirmed kidney cancer without metastases. I was asked to remove it entirely, so that the tumor has not spread to other organs. Looking for information on the Internet, on the forums, I learned that in Israel when a small size of the tumor it is removed, preserving the healthy part of the kidney. The size of my "sore" was 6 cm, and I decided to take a chance. Once on reception to the head of the urological Department, Professor Mackina Chaim, I immediately felt that talking to a professional. Special thanks to the doctor for something that gave me hope and strength to fight the disease – I think it played a role in the success of treatment. The size of the tumor was small enough to preserve part of the kidney, but if I waited it would be too late, you had to remove the entire. In the clinic Assuta examined me, I felt like an astronaut. In Russia I also had to be examined, therefore, was to compare. Maybe the principle of operation of the equipment with which I was being tested here and there, and the same, but it looks different and the feelings are also quite different. In the result of the examination, the doctors said his tumor – she was even a little less. The surgery was endoscopic, meaning the stomach didn't cut, all done through small incisions, which healed very quickly. After 3 days I was discharged from the hospital, although in such circumstances it would be possible to stay. The houses are very comfortable, clean, the staff extremely friendly. Once again I want to say thank you to the doctors clinic Assuta, thanks to which I managed so quickly to beat cancer. Professor Haim Matzkin reassured me, and regarding relapses after treatment in their clinic for tumors of this size, like mine, they practically do not exist. I'm back to normal, my partially preserved kidney doesn't bother me. Anyone who has faced a similar problem, I highly suggest not to wait until the tumor will grow or there will be metastases, and to turn to the professionals at the clinic Assuta.